As a major marketing company, Merkle is used to handling data from all kinds of sources. And with a number of big-name clients in multiple industries—including Dell, MTV, Susan G. Komen, and Bank of America—the marketing giant is regularly using Tableau with myriad data sources. “It’s actually spreading like wildfire across our entire organization,” says Senior Business Intelligence Analyst David Andrade about Tableau. In this interview, he explains why Merkle uses Tableau for both internal projects and client-facing communications. "At Merkle we deal with all sorts of data," says David Andrade. "We do big data, we do medium data, we do small data. We do all the data." 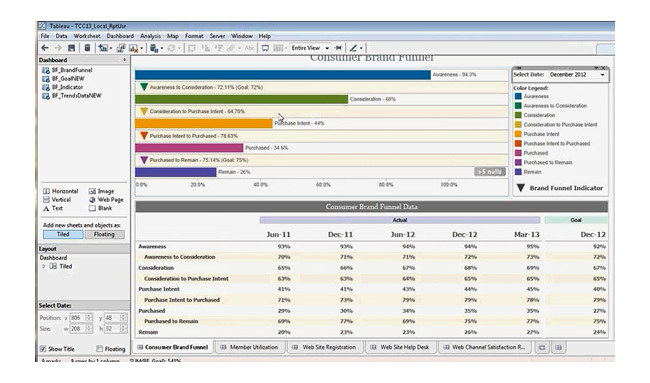 "Tableau Server helps us automate dashboarding for our clients," says Andrade. This frees up more time to focus on marketing insights. Find out why this marketing maven can't get enough of Tableau! Watch the full interview now.